NEW YORK (CNS) — Since its October 1988 debut, the illuminating and edifying PBS documentary series “American Experience” has offered viewers welcome relief from the serial killers, crystal meth dealers and dysfunctional families who otherwise typically populate TV. Debuting Tuesday, Feb. 6, 9-11 p.m. EST (check local listings), the engaging, thought-provoking, and relevant “The Gilded Age” is a case in point. 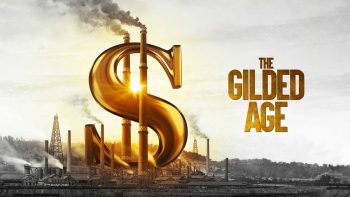 The documentary contains nothing objectionable, but its themes of poverty, inequality, racism, social Darwinism and workforce violence make “The Gilded Age” more apt for adults and adolescents. Versatile character actor Oliver Platt, himself an “American Experience” regular, narrates the documentary, which chronicles the eponymous late 19th-century American era when 4,000 families — less than 1 percent of the population — owned as much wealth as the other 11.5 million American families. African-American historian Nell Irvin Painter, author of the best-selling book “A History of White People,” says in the documentary the word “gilded” has the sense of “a patina covering something, with a shiny exterior and a raw underneath.” That “raw underneath,” the film describes, was the massive inequality adversely affecting urban workers and farmers. The overarching theme of 19th-century income inequality the show explores will certainly hit home with 21st-century viewers, acutely cognizant how a similar disparity marks and troubles our own times. Painter is among 16 commentators whom director Sarah Colt employs to elaborate upon the program’s story lines and themes. And, as “American Experience” documentaries do so well, grainy black-and-white archival footage and wonderfully evocative period photos embellish the storytelling. As the camera lingers upon the lassitude reflected in a working-class single mom’s eyes, viewers will want to abide longer to understand her story. But banker J.P. Morgan’s eyes will appear to penetrate right through viewers, with the avariciousness that made him the most powerful man in the country. Like Morgan, fellow wealthy industrialist Andrew Carnegie is understandably featured prominently in “The Gilded Age.” Writer Mark Zwonitzer’s fair-minded and honest portraits of these men move beyond the typical “robber baron” caricatures. In Carnegie’s case, viewers will sympathize with his rise from boyhood poverty in Scotland to innovative entrepreneur, whose Pittsburgh steel plant earned as much in a day as the average American earned in a year. But, as the filmmakers describe it, Carnegie’s belief he owed his astonishing success to the “survival of the fittest,” won’t engender comparable sympathy in viewers. Although Carnegie projected himself as the worker’s friend, when he saw labor costs, in the filmmakers’ view, cutting into his profits, he moved in 1892 to crush the Amalgamated Association of Iron and Steel Workers, then the nation’s strongest union. “The Gilded Age” depicts Carnegie, while traveling abroad with his wife, ordering his plant manager, Henry Clay Frick, not to negotiate with the 4,000 striking workers at Carnegie’s Homestead Steel Mill, outside of Pittsburgh. A violent confrontation ensued between armed strikers and Pinkerton agents, hired to protect scabs. Nine Pinkerton men and seven unionists were killed, and 40 agents were injured in the original July 6, 1892, skirmish. By November that year, however, the union disbanded — a defeat which, some argue, set back unionism for 40 years. The documentary, nonetheless, commendably rescues from obscurity populist leaders from that era who shouldn’t be forgotten. “A harridan to her enemies, a goddess to her friends,” Kansas lawyer Mary Elizabeth Lease protested a government “of Wall Street, by Wall Street and for Wall Street.” Evocative of Sen. Elizabeth Warren, D-Massachusetts, Lease’s fiery rhetoric inspired the newly formed Populist Party to secure a majority in the Kansas Legislature in 1890. NEXT: After net neutrality, is children’s TV next in FCC’s sights?